Manual grinder recommendation for our usage? Thread: Manual grinder recommendation for our usage? Our current setup which is okay is a Bialetti Moka Induction 3-cup stovetop (if there a better stovetop or similar out there that is as easy to use I would be interested in hearing about it). This suits us well as we have a dual gas burner in the camper. It requires 24 grams of coffee at a medium-fine setting (good for 2 of us). The grinder is only for the camper as we have a 240v grinder at home. For longer trips could be several months we have just purchased various small ground coffee vacuum packs from the larger chain supermarkets which are ok when opened but not so good as time goes by. It is this experience we are trying mainly to improve. If you’re happy with the coffee you make with your Bialetti then it’s as good as anything so I’d stick with it. There are of course many, many other options for making different styles of coffee while traveling, but the Bialetti Moka pot is fine for that style of drink. Using a good technique makes a difference as well and I’d recommend you check out the Chef Steps YouTube video on how to make good quality stovetop espresso. As far as the grinder goes I highly recommend the Gefu Lorenzo. It can be picked up from places like Peters Of Kensington for as little as $70 and it’s the best grinder I’ve used in this price range for this style of coffee. Thanks for the suggestions so far, i will check out the grinders suggested. Liked the video suggested for the moka pot, couple of things to try there. I have a porlex mini as well (for travel aeropress). The porlex is slow and painful. The lido is powerful and fast. Although watching others use it is very clumsy. I don't have any issues with the lido E when changing from espresso to French press grind. I don't think it would suit older hands. Is it a idea to get a 12v to 240v converter for travel? Many other uses, and could use your home grinder if it's not too big. One of those rechargeable grinders, I have heard are mindboggingly slow. At 44g, I'd say a porlex would also sux so bad, it's bad enough with 15g. If you have "plenty" of 12v power then, as Jackster suggests, another approach is to get an inverter and use your home 240v grinder. 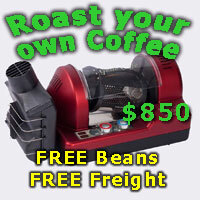 Depending on the wattage of your home grinder an inverter should be affordable. I would recommend not going for the cheaper offerings and to look at those with a proven track record. Victron have a good reputation. A bonus is that you will then have an inverter for other purposes eg chargers, and you will also be retaining the knowledge base of your home grinder and moka pot. The Porlex has a hex drive shaft which readily opens up your 18v drill option. The Lidos have a D shaped drive for which an adapter is not readily available. However, there are 3D printer files available for a Lido adapter. Just remember to keep your drill speed as slow as possible. A Lido is worth stretching your budget to. You could have picked up an original Lido here recently for just over $100. There was also a Lido E on offer up to the weekend for just $200 but it has now been withdrawn. It could now be on evil bay. Another option relatively new to the market is the Precision Hand Grinder that offers stainless burrs for around the $100 mark. This would give a more aggressive grind than the Porlex, and it does have a threaded hex drive for which a lock nut should be readily available to allow use of a power drill. Maybe some other Forum members can comment on this grinder. As to quality beans on the road, this is a problem. However, I have found that just a little research will identify regional roasters from which, as long as you are not going too remote, fresh roasted beans can be sourced. Good luck with your search for good coffee on the road. Thanks for the thoughts on the 240v inverter (its a good idea), we have deliberately stayed 12v to maximise/reserve available battery amp hrs for fridge etc when camping remote and found devices that are 12v or DC compatible, eg. car chargers for laptops, rechargeable batteries or USB devices etc. The DC type of devices tend to use only what they need to run where as 240v or AC devices assume power is available and tend to use more then they need. Space and storage is a premium in our setup (single off road vehicle not a caravan) so everything is a comprimise. Even the dimensions of the the Lido grinders seem large to us to store (approx 34.3cm tall, 7.6cm diameter), although I like the way some of the handles fold in. Are there other makes/models that are worth considering that very durable but smaller that grind about 30g at a time that have a hex head nut to try out the drill at some point? RE: drill setting, can do slow speed pretty easily but would you put the drill on "drill" or "screw" mode? I am assuming "screw" mode so it would stop if it felt any resistence, then give the grinder a shake and try again or wind manually and then try again. If we start vacuum sealing beans it should make it much easier to find the occasional roaster on the road which would just add to our travel experience. Is there a general rule of thumb that roasted beans can be stored reasonably (eg. plastic container) once opened and in temperatures and conditions that vary a lot? Theres also the Precision Hand grinder. You may have to search for one. $100 buys stainless steel conical burrs and the grind quality is up there with the bigger conical hand grinders. It's compact and holds about 20g. Way, way better than the Handground or any of the cheapies: Porlex, Hario etc. Last edited by Caffeinator; 12th February 2019 at 05:25 PM. Theres also the Precision Hand grinder. You may have to search for one. $100 buys stainless steel conical burrs and the grind quality is up there with the bigger conical hand grinders. It's compack and holds about 20g. We're in a similar situation Rookie, travel in a motor home from time to time. As you say it's a balancing act, for trips of up to a month freshly roasted beans stored in a one way valve bag last pretty well. Longer trips, we do the best we can, however it's always nice to get back home to a fresh roast and a decent brew. We/I use a hand grinder, the grind is OK, however the process is a pain in the arse, novelty of hand grinding wore off long ago, have considered a drill, but just another thing to worry about, so hand grinder it is. We have 150 amp hours of battery storage, sufficient to run fridge, lights, charge phones, computer, fan etc, however wont go down the path of an inverter for 240 volt appliances, they are 12 volt power hungry and would tip us over the edge. As for beans available on the road (supermarket) Aldi have had good comments, I've tried them, probably better than what you will get from the other chains. I spend a good 6 weeks or more away from home each year and use a Lido E-T (basically a Lido 3 with finer adjustment in espresso range). Using this grinder for 6 weeks in a row doesn't bother me at all.....the ergonomics are good.....and if you are grinding for a Bialetti it will be even easier. They are a superb grinder. As acknowledged above a new one is well out of your budget range but the 2nd hand ones <$200 are getting closer. I also own some cheaper hand grinders (Porlex Mini and Hario Skerton). They are a bit more of pain to use, but the Porlex might be sufficient for use with a Bialetti (and is certainly available well within your price range). After all that I’ve seen nothing here that I’d recommend over the Gefu Lorenzo in your price range. I’ve also seen the Precision Hand Grinder now being sold by Talk Coffee among others. It could be good and I’d certainly trust their recommendation, but it’s so new that no one here will have personal experience with it yet. The Gefu Lorenzo ticks all the boxes for your purposes. I don’t think you can attach a cordless drill to it due to the adjustment mechanism, but it’s so easy to use and grind with that I don’t think you’ll feel like you need to. It is all plastic, but still well made and has some great features. I see Hario have upgraded the Skerton to the ‘Skerton Pro’ which could have sorted some of the issues of the old Skerton. And it’s in your price range so it could be worth a try. I don’t think you’ll find it as easy to use as the Lorenzo, but you can probably attach a drill to it. It already looks like you're not going the 240V route, I would add my recommendation in not running an AC motor on a DC inverter. Doesn't matter how top of the line it is, nothing is going to give you a proper sinusoidal waveform under load. If you like your grinder don't do it. Is there a general rule of thumb that roasted beans can be stored reasonably (eg. plastic container) once opened and in temperatures and conditions that vary a lot? Once the beans have degassed fully they will do best in a container with minimal air and kept at 14°C consistent temperature. Any deviation from this will age the beans faster and lose the regional and more nuanced flavours. You can get away with freezing beans once. If you only removed what you need from the freezer each time they will last quite a while. I would add my recommendation in not running an AC motor on a DC inverter. Doesn't matter how top of the line it is, nothing is going to give you a proper sinusoidal waveform under load. If you like your grinder don't do it. A few years back I developed a line of specialist sinusoidal drives for AC motors: in turntables. Amazing how many hoops I needed to jump through to get the waveform right. Thanks everyone so far, I really like that people have picked up on that we are just trying to get a better brew in the mornings and and that in our situation we will have to compromise. Probably the most important factors for us are size of grinder (storage space used), ease of use (time/ease to grind meaning we will use it) and quality of grind (good for 25g hits for our moka pot) and durability (handle travel including eg. corregated roads, we can wrap if needed). RE: optimising bean storage and freshness once opened (no freezer space for beans). I think this is our likely approach from what I have heard, do these approaches sound reasonable (daily temperatures will vary greatly but we usually avoid extreme heat/cold pretty well) ? Approach 1, but with larger vaccum sealed bags of about 400-500g (might be easier to work with). Once opened stored in 1 plastic 200g container and remaining left in open bag sealed wrapped up with rubber band and kept in fridge. Original sealed bag opened for about 2 weeks as beans and freshly ground daily. RE: Shortlisted grinder units looks like a choice of 3 so far, I will list them by smallest size first and I suspect it may be the reverse order of ease of use. Please let me know if I am missing anything or any others I should be considering? Probably the most important factors for us are size of grinder (storage space used), ease of use (time/ease to grind meaning we will use it) and quality of grind (good for 25g hits for our moka pot) and durability (handle travel including eg. corregated roads, we can wrap if needed). I have the Lido E-T, and it comes with a neoprene case that you can pack it into, should help keep everything nice and safe while travelling. Also has the folding handle to make it easier to stow-away. It will give you the quality you need and then some, and will be more than adequate if you decide to upgrade your coffee machine to a flair or something similar in the future. I use mine twice a day at work for double espressos, and I can hand grind in the same amount of time it takes others to get the same out of a Mazzer Mini. I don't feel like it's a chore at all, and personally don't feel like I would need to use a drill or anything with it. The downside, which you are aware of, is the size and price. Not sure how much your budget could be stretched, but keep an eye out on the for sale section, send out to the sponsors to see if they could do a deal for you on a new one, and sometimes ebay have % off sales that might make it affordable. Approach 1, but with larger vacuum sealed bags of about 400-500g (might be easier to work with). Once opened stored in 1 plastic 200g container and remaining left in open bag sealed wrapped up with rubber band and kept in fridge. Original sealed bag opened for about 2 weeks as beans and freshly ground daily. A small tip regarding beans kept in fridge or freezer :- take them out an hour or two before using them. and allow them to come up to room temperature before opening the container. If you unseal them while they are cold, condensation may form on the beans, and they will go stale faster. Light, heat and oxygen are not good either, so keeping your vac-sealed bags cool and dark will also help. I'm not going to comment on grinders, as I have only owned two, and neither are suitable for your needs. Re powering a hand grinder with a drill: I tried this with my little Hario, and I can see that its days are numbered. The trouble is that the central drive shaft is in a plastic sleeve. When the drill heats it it gets soft and starts to collapse, causing the blade pressure to reduce. I managed to fix it by adding extra washers on the bottom, but it's clearly not going to work for much longer. The Rolls Royce of hand grinders, and designed to be drill powered. What more could you want? Interesting, which model Hario are you talking about and any idea when it might be available for purchase? How does this rank compared to the Lido, Gefu and Precision models mentioned elsewhere in this thread? The Hario is the Hario Slim. Ross says the next batch he makes will have the new bearings, and there's no stock left of the old ones. Not sure how the Portaspresso grinder ranks against the competition. Others may know. Have gone with the Precision Hand Grinder as i could have a demo (grinds easily), its very small and made of stuff that shouldn't break while travelling. Had a couple of test runs so at home so far and its making the best grind and tasting coffee that our low end expresso coffee machine has ever made , so much so I now realise (from another post on CS) that my home grinder needs a shim/spacer added as its not quite grinding fine enough (hopefully its as simple as adding the spacer). This little grinder could be a double win for us as I am hoping it will do our little moka pot grind well also, thanks all! Congrats on the Precision and the immediate benefit you have got. Am considering one of these as a relatively inexpensive and dispensable grinder for international travel to avoid worry of losing one of my favourites. Last edited by Otago; 19th February 2019 at 07:53 PM. Should handle it with ease Rookie. Here ya go, a large part of the reason we went for this one was its size, its tiny. We will just wrap it in bubble wrap or tea towel or similar so it doesn't get knocked about, it feels very solid. Hopefully I can attach a couple of pics and a scan of the grinder manual. That looks pretty good. If you wouldn't mind I'd be interested to see some ground coffee spread out on a piece of paper at espresso and moka pot settings. Thanks so much for the photos and copy of the manual. It gives me a much better idea of the construction and finish of the grinder. Will now go ahead and get one. Great that it fits in an Aeropress. Hopefully the photo is of some use. I used setting 6 (this is what I have been using in my expresso machine at home) and 12 out of the box. I am thinking setting 12 is a reasonable start for my moka pot, does that sound about right? Otago and level3ninja like this. Thanks I haven't had heaps of experience with moka pots, but I would have thought finer than that. Like two clicks coarser than espresso. the Moka pot is a pretty forgiving little device as far as grind is concerned, experiment, pretty much whatever suits your palate. I just use the same grind setting for espresso and adjust the dose very slightly for the Moka Pot. Thanks all, will have a play with the Moka soon. Either way, we will be having a better coffee experience in the bush which can only be a good thing. It should help keep us out of the many not so good coffee shops along the road hoping for a good brew but generally being disappointed. FYI: I accidentally tried setting 3 this morning, I thought it was strange that it took so much longer to grind and then it wouldn't hardly so through our expresso machine (about 1 minute for 50% shot and then I gave up, tasted ok though). Its amazing how fine this little hand grinder will grind and the difference a few clicks makes. Mine arrived yesterday. Initial impressions are really good. I unpacked it just before lunch then ground 10g of coffee through to remove anything funky inside. I’ve just made a V60 with it and as you can see it’s done a pretty good job for a first run. I’m sure it’ll only get better as everything settles in too. I’m also really impressed with the build, finish and packaging considering the price. One thing to note is the size - small. It’s actually smaller than the Aergrind and you can only get about 20g of coffee in there. Perfect for travel and a high quality competitor for the Porlex Mini and Hario Slim, but just be aware of this limitation. I’m very happy, especially after being so disappointed with the Aergrind. This will definitely keep me going until I can save for a Hiku. Otago and Caffeinator like this.